It used to be a matter of good intentions gone awry. Now it is plain fraud. The governments using biofuel to tackle global warming know that it causes more harm than good. But they plough on regardless. In theory, fuels made from plants can reduce the amount of carbon dioxide emitted by cars and trucks. Plants absorb carbon as they grow – it is released again when the fuel is burned. By encouraging oil companies to switch from fossil plants to living ones, governments on both sides of the Atlantic claim to be “decarbonising” our transport networks. But it gets worse. As the forests are burned, both the trees and the peat they sit on are turned into carbon dioxide. A report by the Dutch consultancy Delft Hydraulics shows that every tonne of palm oil results in 33 tonnes of carbon dioxide emissions, or 10 times as much as petroleum produces. I feel I need to say that again. 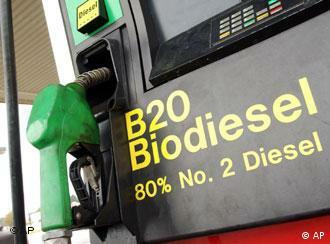 Biodiesel from palm oil causes 10 times as much climate change as ordinary diesel. He goes on to address deforestation in Brazil. But again, he fails to state why policies cannot be enacted to ensure sustainable biofuels production, instead arguing for the most extreme option. Moreover, as carbon trading schemes continue to emerge, forests may be worth credits (as they consume CO2), creating economic incentives to combat deforestation. Suffice it to say, we’re not convinced a moratorium is needed. Sorry George. Oil will never go below $85 again. In 2010 oil will be over $250 a barrel and gas will be $10 a gallon. Even though reserves are rising which should make oil prices drop the fact they donâ€™t drop in price is because the political tensions are rising. With that you will either buy a hybrid which will still be expensive to operate or ride your bike or take the public transit. There are ways to reduce your fuel cost.